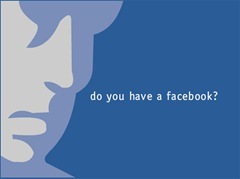 Social Networking turned a new leaf with the launch of Facebook. Facebook caused a paradigm shift in how Social networking sites were perceived and took the idea further to bring lots of sticky additions to its platform. From sticky games and tons of interactive applications, Facebook has almost up gobbled up its much older peer- Orkut. In an appeal to interested users to become beta testers, Facebook is trying build a huge data depository of rich information with the contribution from its user base itself. As mentioned on it’s official page. What do you think of this development from Facebook? Are they only trying to create the next big alternative to Yahoo Answers or there is more to the development than is visible? The reach of facebook is a big factor in how you should look at this subject. yahoo Answers is great tool for internet users, but due to the amount of time people spend on Facebook these days, it is good if we have F-Answers. i think its good because people will become more conscious of q&A websites and awarness means alternatives. there is one more : http://www.howwherewhat.in where you can earnmoney as well.